Now that we are a few hours post the release of the Technical Preview for Windows 10 for Phone I have had a chance to play a bit with the update and wanted to share my thoughts. Overall I have to say I’m impressed. 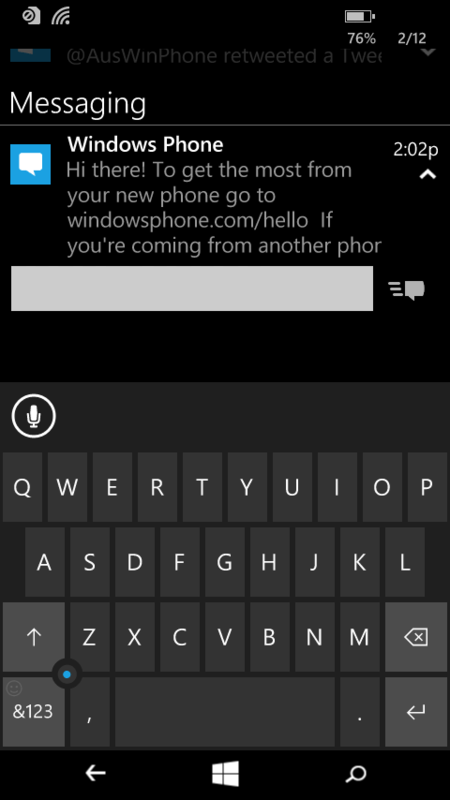 There are issues with this beta, no question there, but overall I’ve found that it is stable on my Lumia 635. I’ll cover my initial thoughts in distinct areas so you get a feel for my experience with it as you wait to install it on your phone as a Windows Insider or wait for the general release later this year. Those areas will include the install/update process, general look and feel, performance and any issues I’ve encountered. Some context on why we chose these and not higher end phones like the 930/Icon or 1520: We have a feature that will be coming soon called “partition stitching” which will allow us to adjust the OS partition dynamically to create room for the install process to be able to update the OS in-place. Until this comes in, we needed devices which were configured by mobile operators with sufficiently sized OS partitions to allow the in-place upgrade, and many of the bigger phones have very tight OS partitions. What I read into that is within the next few weeks we will see an update to the Windows 10 for Phones Preview which will have this Partition Stitching that will allow for the higher end devices to see the update. The problem of course is that during the Windows 10 event in January, Microsoft’s Joe Belfiore showed Windows 10 for Phone running on a Lumia 1520. Everyone, including me, expected it to be available first round on these higher end devices. Indeed I don’t think this would have been question nearly as much as it has been had this preview been shown on a Lumia 635. For those with other devices the Preview will be coming as Microsoft slowly expands the number of supported devices, particularly after they get this Partition Stitching element built. For now, let me give you a flavor for what you can expect on from Windows 10 for Phones when it is available on you device. the upgrade was a two-step process. The first upgrade actually moved my device to Lumia Denim, something that AT&T has promised soon to non-Insider users but still doesn’t have available. I too found it ironic. Anyway, after that the Windows 10 for Phones install is done. Overall it took about an hour for all of the upgrades to happen and both went off without a hitch. 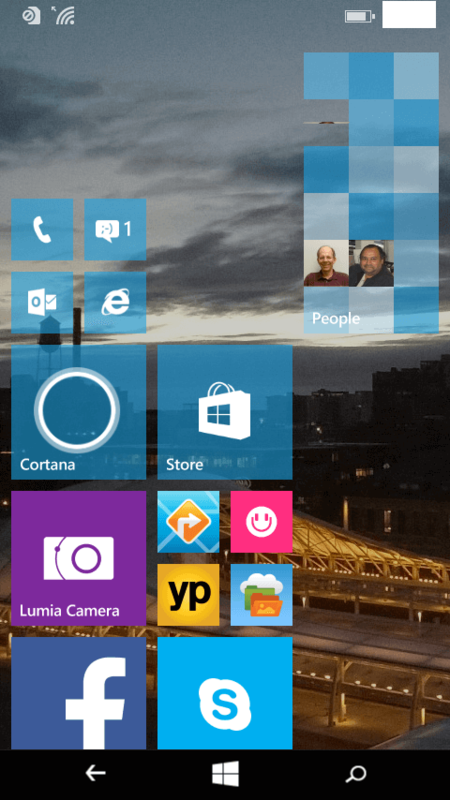 Since I had installed over my existing Windows Phone 8.1 install, all of my apps were already there and ready to go. Many of my every day apps worked with no problems at all and although I fully admit I didn’t try every app (about 50 installed), so far I’ve not seen an issue other than lag which I fully expected given Windows 10 is not optimized at this point. I’ll cover more of this later in this post. 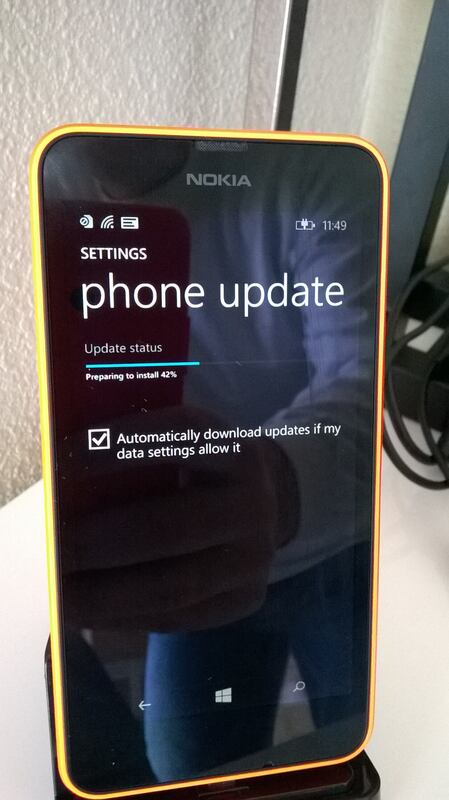 After doing a bit of testing I did a full reset of my Lumia 635 so I could have a “fresh” install of the Preview. This is something I decided to do on my own and certainly not required. I however wanted to get a better feel for just how well the Preview performed with no other apps or services in the way. I did however install the Windows Insider app again and reapplied the Fast Track request that I submitted originally just to make sure I didn’t get left out by fresh install process. One interesting thing I did find when I did the fresh install was that by default there is a Music + Videos folder on the Start screen. Lumia Denim brought these Live Folders to Windows Phone and it looks like Windows 10 by default gives you one to sample. style UI is the name of the game and you really won’t see a massive difference between the two. The transparent Live tiles are more semi-transparent now which gives the Start screen some depth on top of your wallpaper. I personally like it a bit more than Windows Phone 8.1 but it is really about the only change that you will see on your Start Screen. 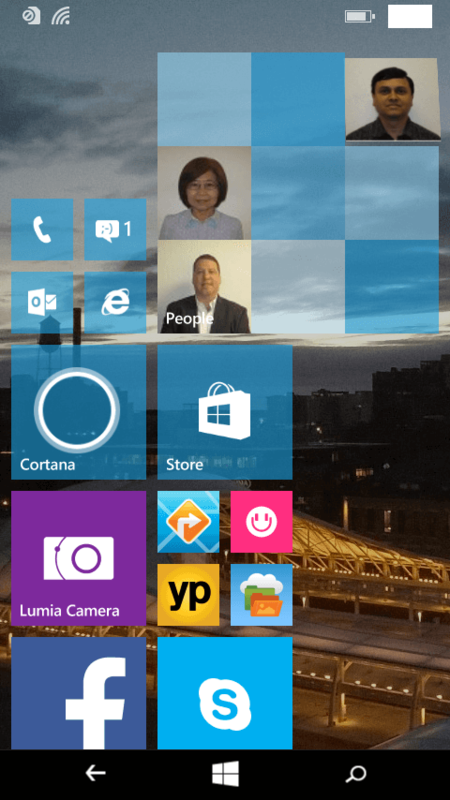 Speaking of Live Tiles, you now have a double sized square or vertical wide tile option on some of them. On the left you will see the People Tile that reflects these new sizes. Not every tile can do this nor frankly would you want to do it. 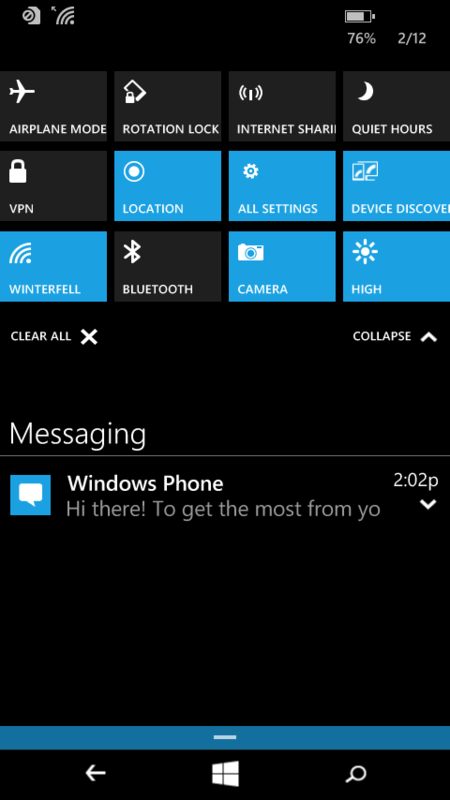 But it certainly is another way that you can personalize Windows 10 for Phones to your liking. Navigation to your installed apps is still done via a side swipe on your device but a new touch is the Recently Installed apps at the top of the list. It is a nice touch and certainly one that was needed. individually dismiss items, have much more access to settings which are configuration as quick actions and even reply to things like text messages straight from within the Action Center without having to open up Messaging. It is expected that other apps like Skype and Lync will be able to take advantage of this later. I will cover more of the specific apps and other UI changes in more detail in subsequent posts. I expected that Windows 10 for Phones would be laggy and it is right now. My Lumia 635 isn’t necessarily coming to a grinding halt but it isn’t nearly as fast as it was with Windows Phone 8.1. I did not expect it would be. Window 10 right now is rough – really rough in some places – so it is a long way from being optimized. I expect as builds continue to get released that this will improve. I have found that when it comes to doing certain things that, especially when it comes to sharing content between apps, that I have to sometimes repeat the process to make things work. For example, if I’m sharing photos from the Photo Hub to OneDrive, while I can select the photos and think I have uploaded my screenshots to the cloud, I find out I haven’t and have to repeat the process. I’ve not had any apps crash to the Start screen yet but there are certainly rough areas to be found. Unless you are a glutton for pain or need to run Windows 10 for Phones, I would say stay away for now. It’s slow and rough in a lot of places and while it will improve, I’d suggest waiting a while. I don’t regret installing it on my Lumia 635 as that was primarily why I bought this device – for testing. But there is no way I’d have this on my daily driver, my Lumia 1320. It is simply not ready for that just yet. I’ll keep post more updates and individual tidbits about individual apps through the coming days and weeks.